After a diagnostic interview, review of your symptoms, taking your pulses and looking at your tongue, acupuncture points are selected and fine acupuncture needles are inserted at various locations (usually on the arms, legs, back, and abdomen – depending on the conditions being treated). The needles are usually retained for about 20 minutes then removed. The interview addresses your current symptoms, and possibly past symptoms and experiences as well. Lori is trained in Eight Principle Theory, so often the questions will be focused on obtaining information to determine whether a symptom or presentation is yin or yang, hot or cold, excess or deficient, internal or external. At times, the questions may not seem related to your particular concern, but because of the way that acupuncture works, the information is important and helps to determine your specific pattern or disharmony. The tongue and pulses also give us more detail as to what is going on in the interior of the body, and your overall state of health. The tongue is divided into the 12 main organ systems and by looking at the tongue, it helps us determine which organ systems or meridians are involved, as well as the state of fluids, and yin and yang of the body. When we check your pulse, we are not just checking your heart rate. Again, the pulses are linked to the 12 main organs. We are checking at 3 locations on each arm, and at varying depths to learn more about what is going on with you specifically. To prepare for your treatment, it is helpful if you drink plenty of water, and wear loose fitting, comfortable clothing. Most acupuncture points can be reached with your clothes on, by rolling up your sleeves or pant legs. If you have back, sciatic, shoulder, or hip pain, it may be necessary to remove some of your clothes in order to reach the acupuncture points. Some people bring shorts to change into. The only other thing you will need to do is relax and let the needles do their work! 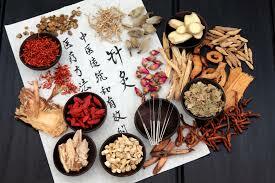 There is written history of Chinese herbal medicine dating back at least 2,500 years. Our classic formulas today are still based on these ancient formulas. Formulas typically contain 2 to 18 herbs used together. It is the combination of these herbs, working together, that give the formula its specific actions. Unlike Western herbs, we would rarely recommend just using a single herb. Most medicinals used in traditional Chinese medicine have very low toxicity, compared to Western drugs or prescriptions, and are generally safe with no side effects. 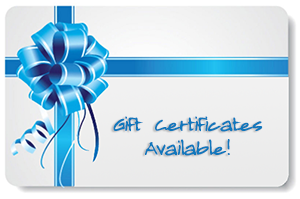 There are formulas to treat the full range of human disease from the common cold, and flu to chronic disease. Some formulas are designed to be taken for several months. Usually these formulas are tonics, designed to tonify “deficiencies”, which usually take a little longer to resolve. Other formulas, aimed at reducing “excesses” are usually used on a short term basis. Based on your unique presentation, more than one formula may be required. The goal is to return the body to its healthy state of balance. Ideally, after a few weeks or months you can discontinue the herbal formulas and your body will do fine simply by eating a healthy, nutritious diet, and getting regular exercise, and relaxation. 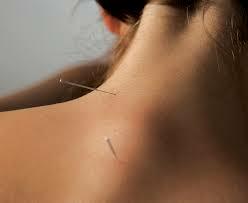 Acupuncture and herbs work very well together, but also work well independent of each other. Herb consults are scheduled separate from acupuncture treatments, to allow enough time to fully understand your underlying disharmonies.